Russian troops are crossing the border into Iran. 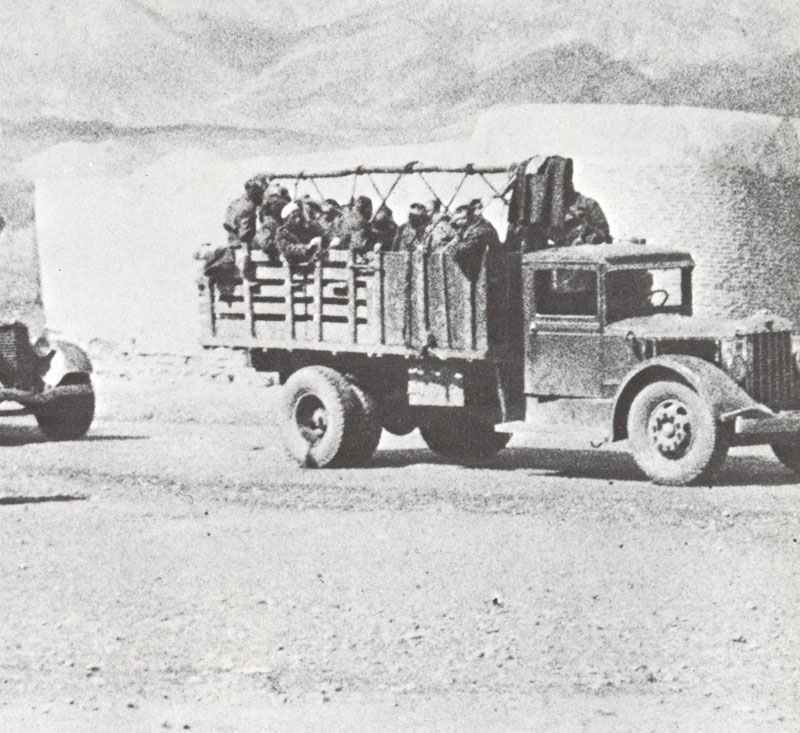 ANGLO-RUSSIAN INVASION OF IRAN begins (with 2 British and 3 Russian divisions). Operation Barbarossa: Germans capture Dnepropetrovsk, south of Kiev; Guderian advances on latter city from the north. Germans capture Novgorod. Operation Countenance: British forces land at Abadan, Khorramshahr and Bandar Shapur; naval forces sink 2 Iranian gunboats and capture 7 Axis merchant ships. Germany: Mussolini confers with Hitler at Rastenburg (East Prussia) at HQ known as Wolfsschanze (‘Wolfs Lair‘) – both leaders then tour together the Ukraine. Mussolini confesses to Hitler that he cannot rely on loyalty of Italian Army.